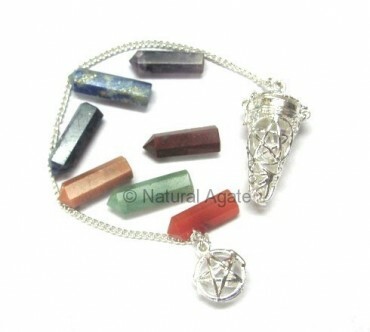 Pentagram Chakra Cage Pendulum from Natural Agate is silver plated. It is 20-50mm long. It is used to heal body chakras.